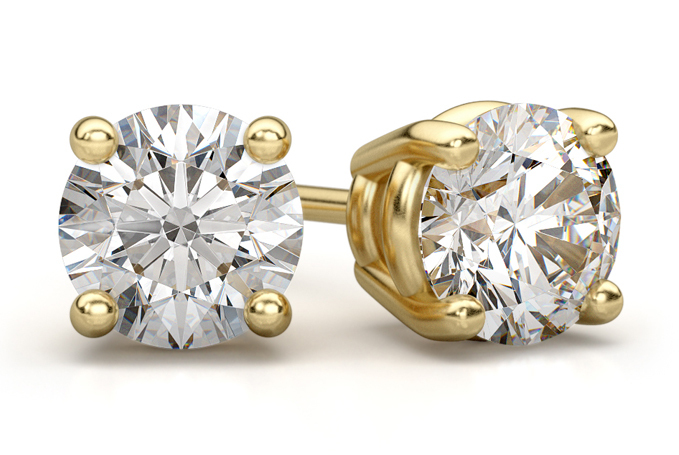 0.25 Carat Round Diamond Stud Earrings in 14K solid yellow gold basket settings. Available in 18K yellow gold, 14K white gold or platinum, shown below. We guarantee our 0.25 Carat Round Diamond Stud Earrings in 14K Yellow Gold to be high quality, authentic jewelry, as described above.